Lately I've been loving doing my eyes. I would constantly just slap on a little mascara and be done with it but, looking at my overflowing eyeshadow drawer, it's safe to say that I needed to start using them up! I've taken to using the MAC Pro Longwear Paint Pot in Soft Ochre £15 to prep my lids before applying any colour. After seeing it in countless Velvetghost videos where Gabby did the same, I felt it was about time I got my hands on this gorgeous neutral base. I haven't been disappointed and have used it every day since, even passing up on my coveted Urban Decay Primer Potion in favour of it. All my veins disappear and everything just seems much more even, and eyeshadow just simply doesn't budge! To add colour, I've been loving my MAC quad £6.50. I have Cranberry, Woodwinked, Sable and Coppering £10 and mix them up from time to time with other colours but they all make a regular appearance in my routine. 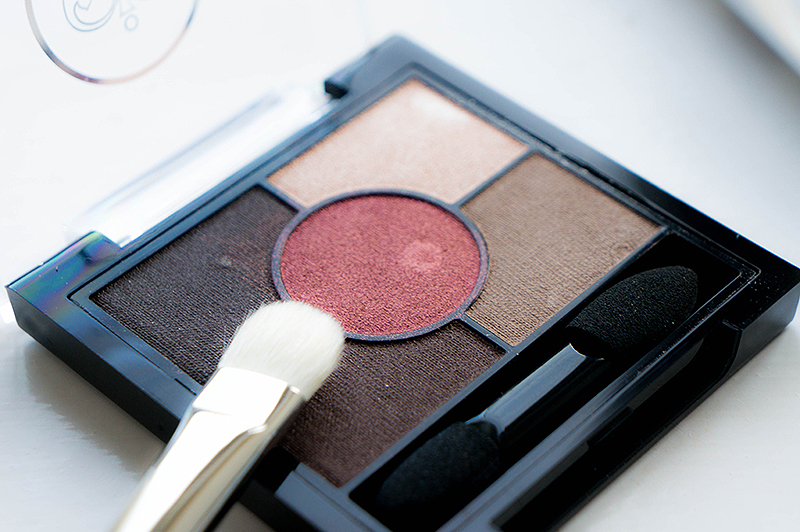 I've taken to laying Cranberry and Sable together in equal amount for a gorgeous smokey eye that can be worn day or night. For work, I have not been able to put down the Rimmel Glam Eyes Palette in Brixton Brown £6.99, the colours are well pigmented with a little work and the addition of the deep red-brown in the centre really adds depth to the otherwise neutral eye. I have had no end of compliments on the colour and it's great to recommend it when it costs less than a tenner! Then I have to highlight some hero products in my eye-loving phase. 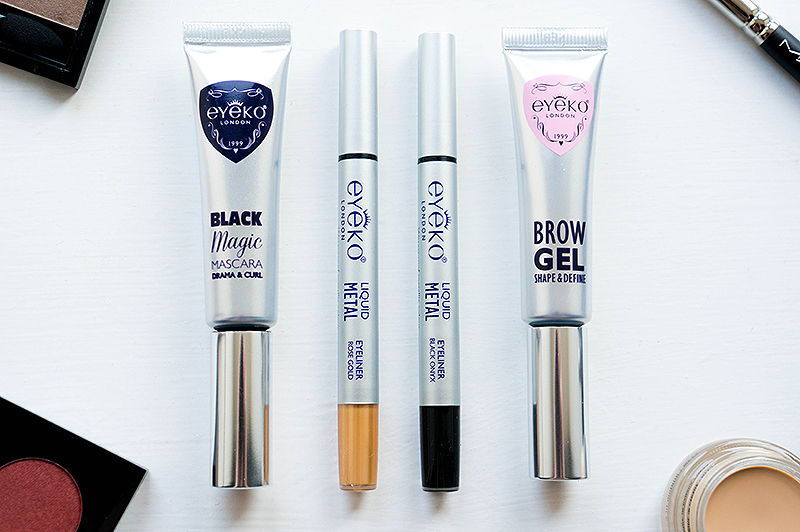 Eyeko have really cemented me as a lifelong buyer of their liner, but I was lucky enough to be able to try out a few more products from this wonderful company and I haven't been disappointed! The Eyeko Liquid Metal Eyeliner in Rose Gold* and Black Onyx* £21 have been helping me with my liner flicks. The application is so simple, a couple of turns of the end and it flows into the brush applicator. I can get such a solid flow of colour that sticks around even after a long day and the Rose Gold version just has me swooning each time I give it a go. It goes stunningly with the Urban Decay Naked 3 palette *winkwink*. I've been told you can dip dye your lashes by applying a hint of the liner to the tips of your lashes, which I'm thinking will be a great to try out in the summer. The Eyeko Black Magic Mascara* £18 was a winner upon opening the box , where a pick fell out and into my lap. At first I thought it was a clever play on the name and some kind of musical thing, but it's actually a really nifty eye shield to stop mascara smudges. The silver tube contains keratin and shea butter so it's nourishing for the lashes. The curved wand gets right into the root of all the lashes and the shield really does help to stop any smudging. There is serious curl, length and volume with this mascara and I'm totally converted! To finish up the eyes, you've got to draw attention to them and there's nothing better to do that than to sort your brows. This is where the Eyeko Brow Gel* £18 comes in, and we've got yet more keratin here but with gingko biloba to help condition, thicken and maintain a healthy brow. I've not seen any flaking or stiffening with this gel, but it does keep them, in place and adds a hint of colour. I tend to use it to set my brows after a little powder as I don't get the coverage I need for my bushy brows! A couple of upward strokes, and then smoothing them down gives you natural brows that look polished. 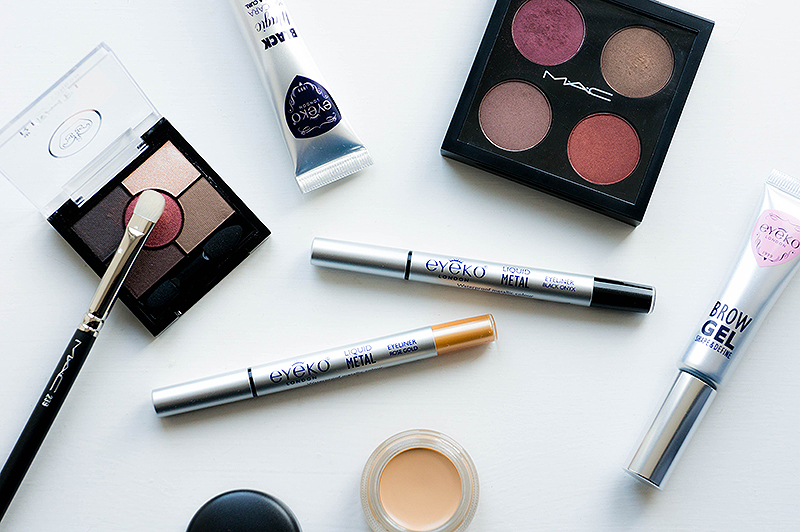 What are your favourite eye products?